Call A to Z Entertainment, Inc. today for free information about how to hire or book Christian music singer, Jeremy Camp. With over twenty years of successful experience, we are your best agent and agency for booking and hiring contemporary Christian musician JEREMY CAMP! We book or help you hire any live professional entertainment you want, to include – Gospel and Christian musicians, singers, and live bands. We can also help you plan and produce your event or show, so call us today at 888-655-4575 and we’ll be happy to help you. The advice is always free from A to Z! There’s evidence that everyone else feels otherwise—he has sold three million records, charted nineteen No. 1 hits, GRAMMY-nominated and won several major Dove Awards—but Jeremy Camp is tired of himself. Not in any self-deprecating way, but in that positive spiritual sense to which we should all aspire. You can hear him working this out on his sixth recording, We Cry Out: The Worship Project. To get himself out of the way, Jeremy Camp, a rock artist who’s also an ordained minister, makes an intentional return to worship on We Cry Out just as he did for his second album, Carried Me. In this familiar setting, he often steps back from self-written tunes, choosing instead to celebrate and share the latest praise songs by others that have been stirring his own spirit toward revival. Jeremy explains, “This feels full circle—just coming in to make the record and saying, ‘whatever you want, God.’ A lot of people don’t know that Carried Me was the first project I signed up to do; I was launching as a worship artist. But we ended up debuting with a studio album (Stay), because the content of those original songs related more directly to my personal testimony.” (Camp’s first wife had just passed away months after their wedding when he was 23 years old). We Cry Out is definitely marked by an air of Spirit-leading at every turn, which results in an easy and rewarding listener experience. Recorded just outside of Nashville with award-winning producer Brown Bannister (Amy Grant, MercyMe), it’s the first all-new set from Jeremy Camp to feature his excellent live band—guitarists Randy Williams and Andy Davis, bassist Walt Smith, drummer Leif Skartland, and keyboard player Jacob Sooter. Their dynamic playing, a confident mix of modern rock and modern worship, flows naturally with their singer’s creative goal here. There are two resonant ways to look at the title of We Cry Out. In addition to the aforementioned tracks, audiences will recognize the amped up version of Brenton Brown’s “Everlasting God” (previously recorded by Chris Tomlin) and first single “Jesus Saves” as outward cries for strength and eternal rescue. Most of the other selections are equally passionate declarations of God’s active grace and power, including Jeremy’s emotional take on Desperation Band’s “Overcome” written by Jon Egan. Other collaborators on We Cry Out include Matt Maher who helped pen “You Are the Lord” straight from Psalms and Isaiah. The softer, piano-laced tune calls God’s people to raise their voices and features supporting vocals from recording artist Adie, to whom Jeremy has been married for six years; they have two daughters. Adding to the family atmosphere, “The Way” was co-written by Adie’s brother, Brad Peens. With a back-story similar to the late arrival of “There Will Be a Day” on 2008’s GRAMMY nominated album, Speaking Louder than Before, Camp recalls first hearing the song now marked by thundering drums and a South African choir. Everyone else is sure to love Jeremy Camp’s We Cry Out: The Worship Project as well. We can help you book or hire any Gospel or Christian musicians, singers, bands, or artists. 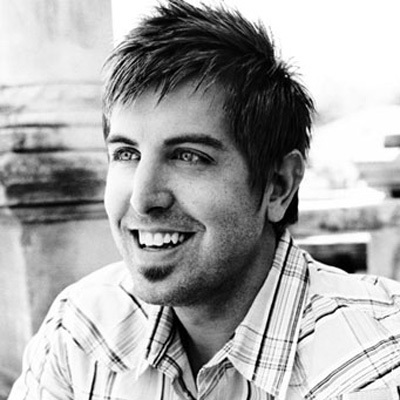 We’re your best agent and agency for booking and hiring contemporary Christian music artists Jeremy Camp. Call us now at 888-655-45755 and we’ll be happy to help you. A to Z Entertainment, Inc. is not the exclusive booking agency for any live entertainers on this site.